"Umansky’s richly textured and peopled novel tells an emotionally and historically complicated story with so much skill and confidence it’s hard to believe it’s her first." "Ellen Umansky’s novel, THE FORTUNATE ONES, is like the melody of a song that you can’t forget. Her marvelous, utterly human characters will stay with you." 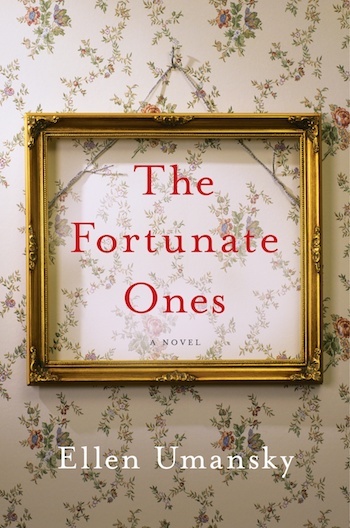 “THE FORTUNATE ONES is a riveting, page-turning novel that investigates the true price of art and love and history. It is both magnificent in its sweep and intimate in its telling." “A subtle, emotionally layered novel about the ways art and other objects of beauty can make tangible the invisible, undocumented moments in our lives." “Ellen Umansky is an absurdly gifted writer, and her masterful debut is so smart, so compelling, so emotionally and intellectually and morally complex, it will make you see the world in a completely different way."